I was fortunate to have met him. He was a smart, hardworking man who built a successful business and helped raise a family with drive and ambition. He was funny and would always make me laugh once Armando translated to me what he had just said. Yet, he also always made the effort to speak English with me for a bit; it was the sweetest gesture to make me feel welcome on our visits to Mexico City. My husband admired him and I know that he will strive to be just like his grandfather. Para La Familia: Distance keeps us apart but our love and thoughts are sent across the miles to all the family for the loss of this wonderful man today. May his memory live on in each of you as you walk through life and may we all meet up with him again one day. Muchos besos y abrazos! Te extrañamos y queremos, abuelo. 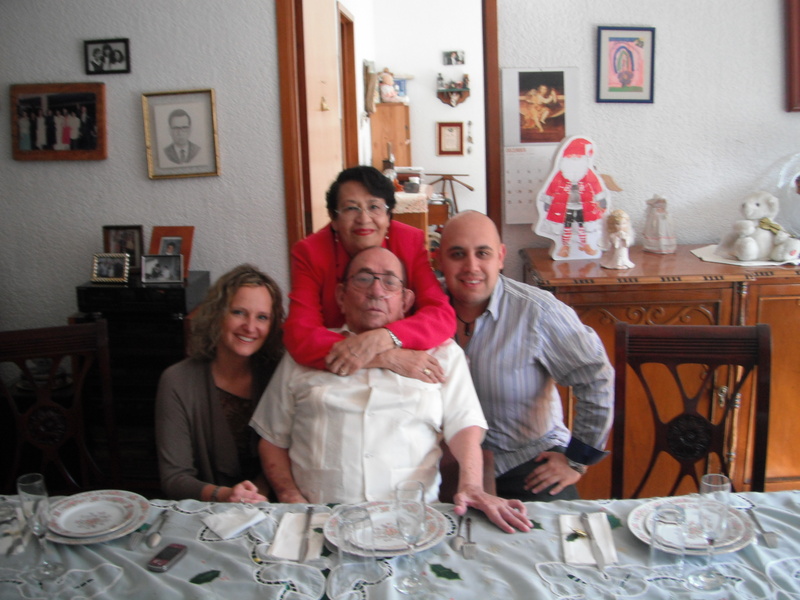 Let Armando know that I am thinking of him in the loss of his Grandfather. I wish that I had met him. My thoughts are with you at this time of sorrow. Give Armando my love. Thank you, Marg. I will definitely forward your kind words to Armando.